We wanted to give you a heads up about something new that is happening here at OhioPodcast.com. And we are really excited about it! Its so big we’re making it the featured podcast at the top of our home page. A few months ago, one of our listeners, and a good friend of mine, came to me saying he had an idea about doing a podcast that features motor racing. His name is Pete Todich. Pete’s been an avid follower of racing for most of his life and has developed a pretty large circle of contacts within the racing community. He’s even appeared as a guest on other racing podcasts. So his idea of starting his own show really caught my attention! His biggest hurdle, though, was that he didn’t really know all the back-end production aspects of just how to do a podcast. I explained to him that one of our goals of OhioPodcast is to be a conduit for people to have their own podcast. Basically, we could help produce other podcasts and get them out there to listeners. Needless to say, Pete’s idea has come to fruition with the Fast Lane Sports Show on the OhioPodcast network! Now, Fast Lane Sports Show is not your typical, racing podcast about the big boys of NASCAR. Pete’s goal is to highlight the smaller tracks you typically see in small, hometown communities and it highlights the passion that so many people have for the sport in the smaller markets. I really think he is onto something here! And we at OhioPodcast.com are just so happy, and proud to help Pete with the Fast Lane Sports Show. As it gets started, we will be hosting the show on OhioPodcast.com. This means Pete’s podcast episodes will show up on our website, just as the normal OhioPodcast episodes appear. Fast Lane Sports Show does have it’s own website, fastlanesportsshow.com, and eventually, all of their episodes will be on that website. But for now you will see these episodes, and you will be able to listen to them here, on OhioPodcast.com. You might also notice the OhioPodcast website start looking a little different. We’ll be tweeking the site as we facilitate the Fast Lane Sports episodes. This is a very exciting time for us at OhioPodcast! As I mentioned, being able to help other people bring their passions to life in the form of a podcast is a major goal for us. 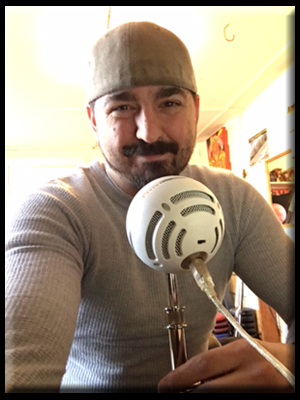 Like Pete, and his dream of starting the Fast Lane Sports Show, there are others out there who would love to be able to podcast their passions. For now, I encourage you to listen in to Pete’s Fast Lane Sports Show and to tell all your families and friends about it too! As always, like, share, follow and retweet this episode and all of Pete’s too!